1. Governor Jerry Brown will propose a major boost in education spending later this week when he unveils his budget plan, the AP reports. The billions in new spending will be financed by a $4.5 billion increase in tax revenues this year. Brown wants to direct more than a $1 billion toward schools in low-income areas. In addition, he wants to spend another $1 billion to implement new, more rigorous academic standards. 2. The Federal Highway Administration has agreed to investigate how Caltrans allowed more than 2,300 badly designed steel rods to be installed on the new Bay Bridge, SFGate reports. The feds, who were brought in at the request of Bay Area transportation officials, will also examine Caltrans’ planned fix for 32 huge bolts that snapped earlier this year. 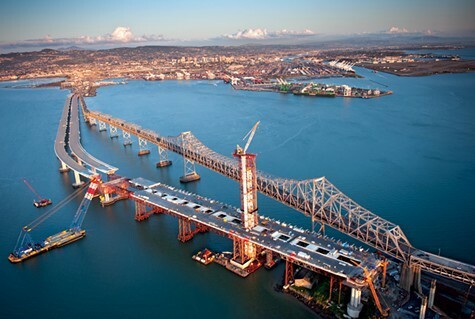 The giant steel rods used by Caltrans on the $6.4 billion bridge were designed to be too hard and are at risk of failure during an earthquake. 3. Civil libertarians are strongly criticizing the Obama Justice Department for seizing two months of phone records from Associated Press reporters and editors. The AP, which also condemned the seizure, reported that the federal probe may be related to a 2012 story about a foiled terrorist plot. The Obama administration has repeatedly targeted government leaks over the past several years. 4. The disclosure that the IRS targeted Tea Party-connected nonprofit groups has angered both conservatives and liberals, the Chron$ reports. Conservatives are angry because the IRS appears to have specifically gone after right-wing organizations, and liberals are upset that instead of an in-depth probe of so-called Dark Money groups — nonprofits that engage in politics but refuse to disclose their donors — the IRS seems to have launched a political witch-hunt. 5. And Napa police are investigating the drowning death of Don Perata’s daughter-in-law, the Trib reports. Catherine Perata, wife of the ex-state senator’s son, Nick Perata, was found dead Saturday in her backyard pool in Napa.